Women Who Love Too Much (1985) explores the unhealthy relationships that some women find themselves in again and again. 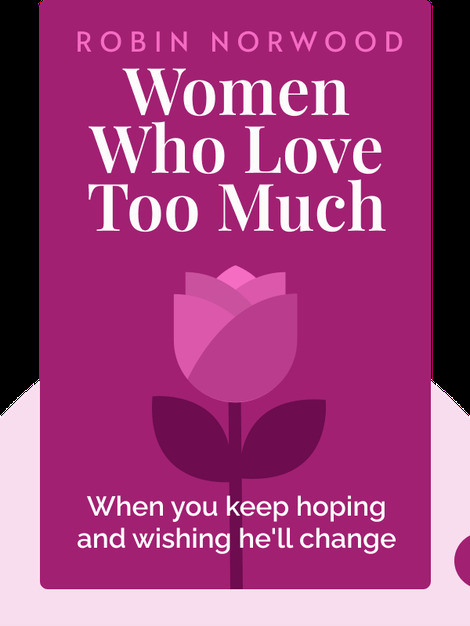 Using real-life case studies and devastating insights, the blinks explain the true reasons behind women’s fascination with unsuitable men and describe how we can move past our insecurities for good. 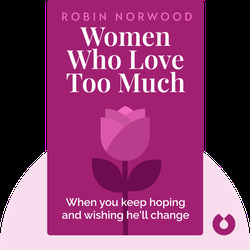 Robin Norwood is a best-selling author and a therapist specializing in marriage guidance and families. She has particular expertise in helping co-alcoholics and women drawn to bad relationships.